Ahhh Christmas Day …. we look forward to it all year, we spend hundreds on the perfect gifts, the best decorations and the most delicious food, so don’t let the big day down with just any old wine! At Bayfield’s you don’t have to spend a fortune to the get the right wine – you just need to know what wine goes with what food for a sumptuous Christmas feast, and we have plenty of great economical drops to match any Christmas dinner you have planned. Nothing kicks off the day after a tiring morning of ripping open Christmas gift paper than a fabulous drop of bubbles, and I mean the real stuff! Veuve Clicquot Non Vintage is elegant, fresh and fruity from the first sip and is the perfect choice for welcoming family and friends through the Kris Kringle door. It is a very versatile Champagne and if you are serving Oysters, the effervescence cuts brilliantly through the salinity of these little wonders of the sea, infact their iodine taste only reveals the minerality of the wine. 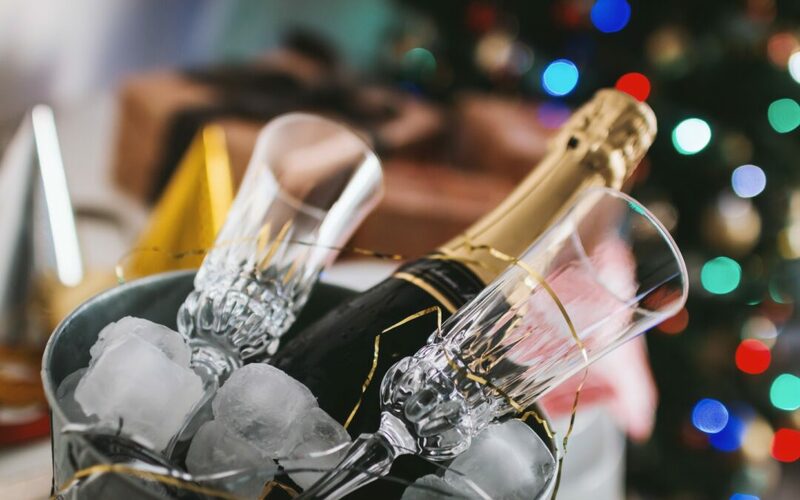 Of course Champagne pretty much goes with every stage of the Christmas dinner – perfect to start as an aperitif right up until the Christmas Pavlova makes the table. If you are serving a wide range of Seafood come Chrissy Day there are more styles than just the usual safe bets of Sauvignon Blanc and Chardonnay to offer. Of course like any other food, wine pairings for fish depend on the fish’s texture, taste, and aroma. My pick for the perfect drop with a broad range of seafood fayre is a nice Clare Valley Riesling or Pinot Gris, and my personal recommendations include Jim Barry Lodge Hill Riesling with its aromas of kaffir lime, pear and ginger spice or Tim Adams Pinot Gris with its beautiful balance of lychee, apple, pear and peach flavours – both drops will make seafood dance happily on your Christmas palate. If traditional Ham and Turkey meats are on the buffet, then try a Sparkling Shiraz for something a little different – it’s a refreshing alternative to white because it offers robust flavours and pairs well with Christmas and BBQ meats. My personal preference is Seppelt’s Original Sparkling Shiraz, the plush spiced plum and blackcurrant flavours are plentiful without being overly sweet. Or, if you’d prefer to go with something tried and tested then a Pinot Noir is the one wine that you can drink in any season as it pairs well with just about any cuisine. My top tip is to crack open a 6FT6 Geelong Pinot Noir with its fresh and fruit-driven style, it’s perfect with hot and cold Christmas dinners. But if you are a traditional sort of festive creature then you can’t go past a great Australian Charddy; Oakridge ‘Over the Shoulder’ Chardonnay is an approachable and fruit forward white with length and texture to boot, there’s not much you can’t pair it with! De Bortoli Noble One completes every Christmas Day dessert, it balances rich marmalade and apricot decadence with a crisp, almost refreshing acidity in its finish. Perfect to pair with cheese and fruit platters, over ice-cream or with a luxurious Christmas Pud! However you spend December 25th, we hope it’s full of love, merriment and of course good wine!